August 2016 – Welcome to the World of Suzanne Burke. Let’s meet Author Gordon Bickerstaff. I was born and raised in Glasgow but spent my student years in Edinburgh. On summer vacations, I learned plumbing, garden maintenance, and I cut the grass in the Meadows. I learned some biochemistry and taught it for a while before I retired to write fiction. I do some aspects of DIY moderately well and other aspects not so well. I live with my wife in Scotland where corrupt academics, mystery, murder and intrigue exists mostly in my mind. I have written the Gavin Shawlens series of thrillers: Deadly Secrets, Everything To Lose, The Black Fox, and Toxic Minds. More will come in due course. I enjoy walking in the hills, 60s & 70s music, reading and travel. 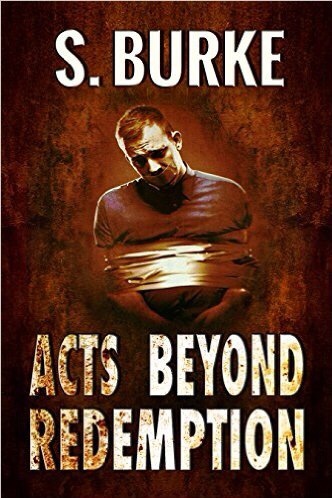 5.0 out of 5 stars This fast-paced thriller will keep you enthralled. Author Gordon Bickerstaff has woven an intricately threaded plot here. It took me a short while to accustom myself to this authors pacing, however once I did the book flowed well. The characters are all described in detail, and are permitted to be three-dimensional as a result. The characters need to stand apart and be easily recognizable throughout the journey the author invites us on. Without this authors’ clear, and visually descriptive talent, the large number of characters would all blur together. He allows them all to sound, look and feel differently, with precise dialogue and shared perceptions of the life they are living. The work has been researched well, and no glaring errors appeared during the telling. I have no wish to include spoilers, although the ending is rather brilliant. The violence in this work is handled extremely well, allowing the reader to watch safely while their heart still pounds. The mental images invoked by Author Gordon Bickerstaff’s clever pen may well leave you needing a stiff glass of scotch. All in all a thoroughly enjoyable reading experience. I look forward to reading book #2. Njide, Nneka, Miss Nelly, and Oby relive their stories of passion, deceit, heartache, and strength as they push through life-each on a unique journey to attain happiness, self-respect and inner peace. But none of the women’s journeys is without misjudgments and missteps. Njide falls in love at first sight, marries Tunji too quickly, and is dismayed when Tunji shows his true colors. Nneka once thought that she and Oji were the perfect couple-until Oji traveled to the United States. Miss Nelly is a kind and good-natured woman who allows everyone to take advantage of her-even her husband, whom she married only for his name. But everyone wonders why Oby and Mat even married at all, for their marriage was a battle from the very beginning. The tales in Mirror of Our Lives: Voices of Four Igbo Women will inspire womenaround the world to never give up, to discover a sense of worth, and most of all, to learn to love themselves above everyone else. The Quiet Heroes of Africa! I always try to put aside my own thoughts and feelings about violence and the submission some woman must endure in order to survive; when I am about to read a book dealing with this highly emotional content. In order to read a non-fiction book that exposes such humiliation, I need to distance myself in order to become a part of what the writer is saying. And she has much to say! You will feel the Nigeria she is allowing you to visit, you will hear the voices and the sounds, but most of all you will meet Four woman, woman that I personally would be proud to call friend. Each of the stories takes you into the homes, hearts and minds or four very different woman. There is no grasping for sympathy in this book, these woman are survivors, and their dignity remains intact, no matter how it is stripped from them. Author Joy Nwosu Le-Bamijoko writes straight from the heart. She writes with a strong soul. Each story stands as a dedication to woman having the strength of character to live through and beyond the many forms of abuse they endure. This book is about the quiet heroes of Africa.